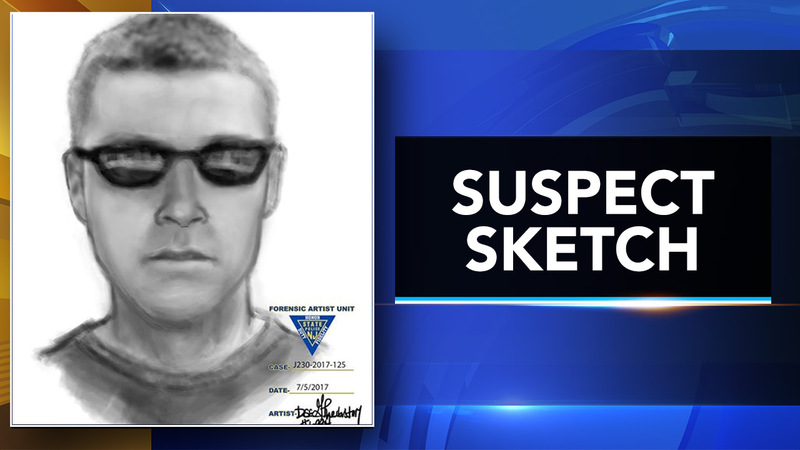 MARLTON, N.J. (WPVI) -- Police are looking for the man who performed a lewd act along a walking trail in Marlton, New Jersey. The incident happened at 1:20 p.m. on June 29 between the Lake Executive Campus on Route 73 and North Cropwell Road. Police say a woman was walking in the area on her lunch break when she saw a man performing the lewd act in front of a park bench. The suspect saw the woman and began walking toward her, investigators say. She then turned, walked away, and took out her phone to call for help. The man then fled in the opposite direction. The suspect was seen on surveillance video running north on North Cropwell Road towards Greentree Road. He is described as a white male, about 35 years old, with a medium build. He was about six feet tall with a brown crew cut. He had a tattoo on one of his forearms and one on a calf. He was wearing a gray t-shirt and black gym shorts. Anyone with information is asked to contact police at 856-983-1116.